Did you know that a layoff could jeopardize the funds in your flexible spending account (FSA)? 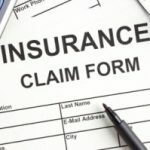 In most cases, when an employee is let go, they are claim reimbursement for qualified medical expenses that are incurred while they’re still covered by their employer’s benefits plan. But once that expires, you may be out of luck. Given that benefits coverage often ends at the end of the month during which the layoff occurs, you might have to act quickly. Alternatively, you may be able to extend your health coverage under the Consolidated Omnibus Reconciliation Act of 1985 (commonly referred to as COBRA coverage) which should extend your FSA eligibility. On the flip side, you’re allowed to spend money out of your FSA faster than you put it in. Thus, you may have a negative balance in your FSA upon termination. While it’s possible that your (former) employer will ask for reimbursement of the overage, we’ve discussed this here before, and it’s not clear that you have to comply. I started my FSA in Jan of 2009 March I was laid off due to a on the job injury.Since I hadnt got a chance to use to and they hadn’t taken much out of my check I thought I was ok. nOPE THE Department of Treasury wants to garnish my disability retirement check for the money. sO THAT BEING SAID WISH i HADN’T SIGNED UP FOR IT. I have to also mention what Jason Alexander said I just received the following letter from my FSA. “The following statement is an analysis of your account balance(s) as of the date 3/31/2010. Please note, your plan documents may require unused funds in some of the accounts, as of the end of the account year, to be returned to your employer. You will have time until the end of the specified run out period 3/31/2011 to submit claims for expenses incurred within the plan year.” Now to me that says I can submit any claims in the plan year 2010 correct? Not according to them now they say claims dated before 3/31/2010 term date will be accepted anything after is no good? Would this document they gave me hold up in court? You definitely came out ahead, and it was wrong of them to ask if you could pay it back. This is exactly how it’s designed to work – if you use more than you contribute before termination, you make out. If you use less, they make out. I was laid off in February of this year. I allotted a whopping $3,500.00 for my Flex Spending Account for the year, beginning in January. I had Custom LASIK Eye Surgery performed in mid January which I had to pay for myself (on a credit card), then I was reimbursed by my FSA, even though I had barely made any contributions yet. In mid February I was laid off. Bummer. Nobody mentioned my FSA at all at the time of layoff. Well, just two weeks later I got another job with better pay, etc. Then I get a call from my old company’s HR department asking where the money went from my FSA. I explained about the surgery I had. She asked if I could pay it all back, and I answered truthfully that I could not. (At least not immediately.) Two days later I got a call from my old manager offering me my old position back. CAN YOU BELIEVE IT? I was thrilled to be able to turn him down and say I had found better employment. They just wanted me back so they wouldn’t be left holding the bag on my corrective eye surgery. I look at it as a great thing. I definitely came out ahead. I want to warn everyone to be extremely careful about their FSA if you’ve been laid-off. I was laid-off in February and was never told by the HR department or Sheakley (the plan administrator) that I had until the beginning of the following month to use the money I earned and set aside for my family’s healthcare expenses or they would be forfeited. Furthermore, I received a letter from Sheakley in mid-April stating that I had X dollars in my account and had until X date to incur expenses and X date to submit expenses, both of which were incorrect according to their rules. Not to mention, I received the letter about a month and a half after I would’ve been able to incur expenses that were eligible for submission! After contacting Sheakley and my old company, they both said that the copy within the letter, “In addition, if you have terminated employment or coverage during the plan year, please refer to your Summary Plan Description regarding claim submission dates” covers them. However, I don’t think that people reading this letter would understand that “claim submission due dates” and “dates for incurring expenses” are the same thing. Clearly they’re not in my view, especially when I received the denial letter. Interesting that they said that my “claim” was denied, so clearly the claim is the form for submitting expenses. And funny how you’re not given the Summary Plan Description unless you ask for it…everything seems to work in their favor, not yours. i got laid off and had a negative FSA balance at the time of termination. My HR dept. is now telling me that im not elig.for Cobra because of the negative balance. Can they do this?? When several of us were downsized last year, we found out our firm’s policy on your FSA was that you could keep it for the remainder of the year, however they would charge you a 2.5% fee monthly on your unclaimed balance. 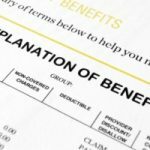 Thankfully our FSA benefit was on my wife’s benefits (although she worked for the same firm), but this could end up costing quite a bit if you have a large balance. Luckily I don’t have enough health spending to warrant an FSA at this time. They do provide a great benefit for those who do have large health expenses and need to skim off their taxable income. My FSA contributions and our medical bills were pretty evenly matched when I was downsized in Sept. So we went a different route and asked my employer to put the scheduled Oct-Dec contributions into my severance package instead. There was some back-and-forth with the HR department to sort out the details, but I got the switch made. The tradeoff is that we had no FSA coverage for those three months, but decided to take a chance on luck, general good health, and a nearby dental school for routine cleanings, etc. that were due in that interim. 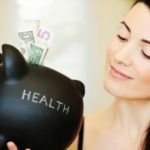 I had used up my entire FSA balance when I was laid off, and my employer didn’t say a word about it. I then started on COBRA, which I’m still on, and they switched to an HSA. The cool thing about an HSA is that contribution rules mirror those of an IRA. Point is: if I secure employment prior to April 15, 2009, I can contribute the HSA max for 2008, regardless of what type of plan the new employer has. I sure hope I find something soon – I really want to make that contribution!